Known around the web as a “social media power influencer,” Madalyn Sklar has made a name for herself for being one of the best Twitter marketers around with a solid knowledge of Twitter strategy and practices. Currently ranked the #1 Social Media Power Influencer in all of Houston, Madalyn keeps busy blogging about all things technology and social media. 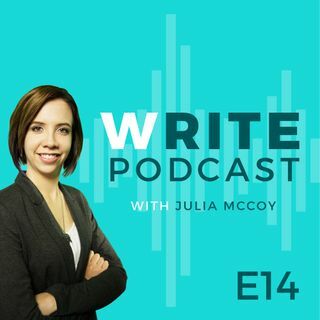 Listen as Julia interviews Madalyn on her story, how she created #TwitterSmarter (a podcast and a Twitter chat), and her best tips on using ... See More Twitter. *See more podcast episodes at https://expresswriters.com/write-podcast/. *Read Julia's blog at www.expresswriters.com/write-blog. *Get Julia's new bestseller: http://bit.ly/juliamccoy.